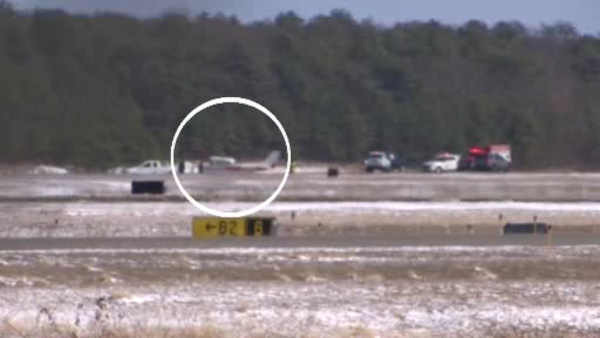 RONKONKOMA, Long Island (WABC) -- The FAA is investigating after a small plane skidded off the runway at Long Island's MacArthur Airport. The single-engine Cessna ended up 12 feet off the runway and in a grassy area, after landing Sunday afternoon. The two people on board were not hurt and the plane was not damaged. A pickup truck towed it away.